There are more electric-car charging points in Japan than there are petrol stations. The figure shows that in the relatively brief time since electric vehicles were introduced, the infrastructure to support them has become bigger than what the oil industry built over decades in the world’s third-biggest economy -- at least by this one measure. Why that matters is obvious. Nissan’s battery-powered Leaf can travel 84 miles (135 kilometers) on a charge, and the anxiety of being stuck away from home without power has restrained consumer demand. 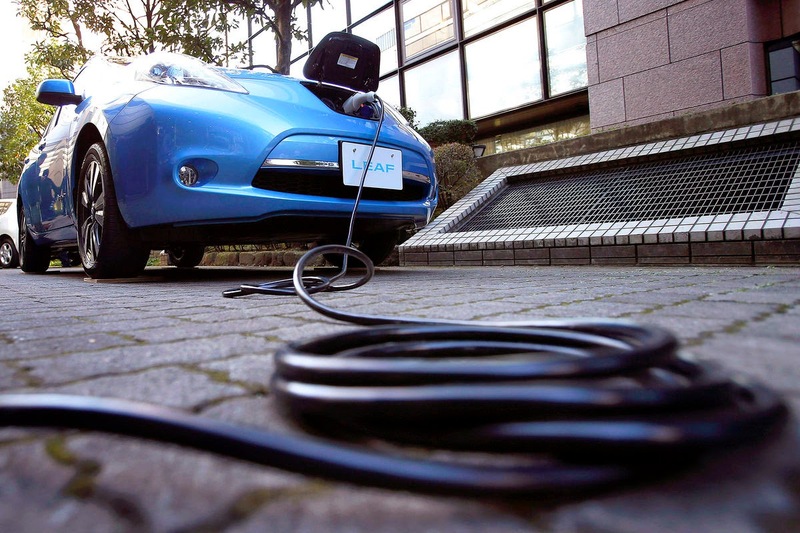 As the charging network expands and batteries become more powerful, that concern will wane. Of course, gas stations typically have multiple pumps and can serve more vehicles in a day than an electric-car charging point. Also, one criticism of Nissan’s number is that many of those charging sites are in private garages. Considering the emerging so-called sharing economy, such as the online home-sharing service operated by Airbnb Inc., homeowners may soon be willing to make their chargers available to other drivers. Tesla Motors Inc. has its own network of charging stations, and Bayerische Motoren Werke AG and Volkswagen AG announced in January that they are joining the network operated by ChargePoint Inc., and plan to build as many as 100 fast chargers along the busiest corridors of the U.S. coasts, from Portland to San Diego in the west and from Boston to Washington, in the east. Kansas City may not be able to retain that position. PG&E Corp., owner of California’s biggest utility, asked regulators Feb. 9 for permission to build a network of about 25,000 chargers in public areas over a five-year period.